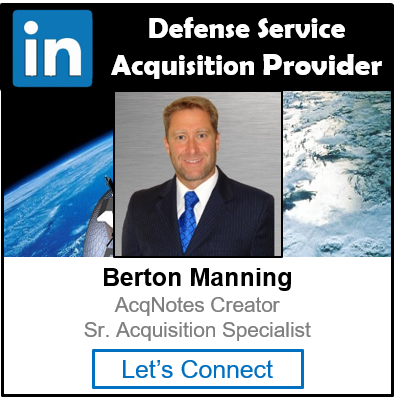 For DoD acquisition programs, the Clinger-Cohen Act mandates that all programs that acquire information technology (IT), including national security systems (NSS), that the Milestone Decision Authority (MDA) shall not initiate a program, increment, entry into any phase, or award a contract until the Program Manager (PM) has satisfied the requirements of this Act. The Office Management and Budget (OMB) Director is responsible for improving the acquisition, use, and disposal of information technology (IT) to improve Federal programs. OMB is to develop process for analyzing, tracking, and evaluating the risks and results of all major IT investments by Federal agencies. OMB shall evaluate the Information Resources Management (IRM) practices of executive agencies with respect to the performance and results of IT investments; and implement reviews of executive agency activities through the budget process. Agency heads are to design and implement processes for maximizing the value and managing the risks of their IT acquisitions. This provides for the selection of investments using minimum criteria on whether to undertake an investment and gives a means for senior management to obtain timely information on cost, capability of the system to meet requirements, timeliness and quality. ITMRA establishes in law, Chief Information Officers (CIO) for Federal agencies. CIOs are responsible for providing advice and assistance to agency heads on IT acquisition and IRM. The CIO is responsible for developing, maintaining and facilitating the implementation of a sound and integrated IT architecture. The agency heads shall identify in the agency’s IRM plan major IT acquisition programs that have significantly deviated from their respective cost, performance or schedule goals. Agency heads shall ensure IT performance measurements are prescribed for acquisition and use and that they measure how well IT supports agency programs. Section 4101, Efficient Competition: The Federal Acquisition Regulations (FAR) shall ensure that the requirement to obtain full and open competition is implemented in a manner that is consistent with the need to efficiently fulfill the Government’s requirements. Section 4201, Commercial Item Exception to Requirement for Certified Cost or Pricing Data: Submission of certified cost or pricing data shall not be required for the acquisition of a commercial item [this is a new exception]. The contracting officer is still authorized to require the submission of information other than certified cost or pricing data to determine price reasonableness. Section 4202, Application of Simplified Procedures to Certain Commercial Items: Authorizes the establishment in the FAR of simplified procedures for acquisitions within a certain dollar range (not to exceed $5,000,000) when the contracting officer reasonably expects that offers will include only commercial items.